Omni Slots Casino will then reward you with a bonus (Welcome Bonus is for new players only). The terms and conditions of the bonuses vary between different casinos and might also change over time and between different countries, so it is important to compare the different offers and read the T&C for Omni Slots Casino before signing up. 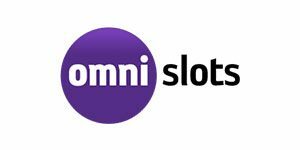 Relatively new to the casino world, Omni Slots Casino website was launched in 2015. The owner of the site is Dialinvest International N.V., a company which may not be the most famous in the industry, but its operation checks out. With a purple layout, Omnislots aims to appeal to players who like to feel distinguished. The slogan is ‘Keep on Spinning’ – quite fitting for a gambling website focused on slots, old and new. Although some would easily define Omnislots as an online casino that targets Australian and Scandinavian customers, the clientele of Omnislots goes way beyond those areas. Several language options are there to prove it, as well as a wide range of available payment methods. Omnislots Casino can be enjoyed in English, Finnish, Swedish, Spanish, French, Russian, Norwegian and German. Users need to fill out two online registration forms to join. The first requires account information (username, password, and email) while the second covers the player’s personal information. Therefore, the registration process takes less than a minute to complete. If you don’t wish to create and account and play for real money, you can visit the site regardless and play the games for fun. Compared to other casinos of its generation, Omnislots is not a layered website. The entire game library is right there on the front page, and you just need to choose whether to browse through Popular, Video Slots, Fruit Slots, Live Casino, Table Games, Jackpot Slots or Other (stands for keno games, video pokers, bingo and scratch cards). The offerings of Omnislots Casino further expand to promotions, news and a VIP Room. The first promotion you’ll be encountering is a 100% welcome bonus up to €300 + 50 free spins on NetEnt’s Starburst. Omnislots shows generosity with a second deposit bonus, slot of the week promos and monthly calendar promotions. Those who believe Omnislots offers only slots, and from a single provider – are dead wrong. Omnislots Casino is packed with all sorts of gambling games, made by various companies. The site has over 500 games altogether, and most of them are indeed slots. However, the brand also endorses table games, live casino and casual games. Which providers have partnered up with Omnislots? NetEnt was one of the first on board, followed by the likes of Microgaming, Betsoft, Quickspin, Evolution Gaming and Endorphina. All the games at Omnislots are certified by Gaming Labs and have also gone through the iTech Labs RNG Testing and Certification process with a positive outcome. The list of games continuously grows, as new titles are being added every once in a while. Game loading time is commendable, but some players have reported that games often don’t make optimum use of the screen, as the interface does not match the 16:9 screens. Hardly a deal breaker, but we’re thought we should mention. The 5-reel video slots are the main attraction here, but the nostalgia lives with simple fruit machines, sorted oh so nicely in a separate category. Amazing graphics and a compelling narrative is what you can expect in many slots, such as Frankenslot’s Monster, Wild Wild West, Starburst, Gonzo’s Quest, Eye of Ra, Whospunit?, Satoshi’s Secret and many others. Game of Thrones is one of the more popular titles to feature a theme from popular culture, for example. Retro spinners will be quite happy with offerings like Joker 8000, Lucky 7 and Break Da Bank, as well as Couch Potato from Microgaming. Jackpot slots include the controversial The Slotfather, Mega Moolah, Major Millions, Apollo God of the Sun and Greedy Goblins. We were pleasantly surprised to see a few dozen table games on offer at a place called Omnislots. It is not just like there are two roulette and blackjack tables and that’s it – the casino has table games. Omnislots really went far and beyond to introduce its customers to quality card games, roulette and craps. Some of the available games are Single Deck Blackjack, American Blackjack, European Blackjack and also Super 7, Red Dog and Three Card Rummy. Other games refer to bingo, keno, video poker machines and scratchy lotteries, at least as far as Omnislots is concerned. The casino offers games such as Monkey Keno, Multihand Video Poker, Bingo Bonanza, Beerfest, Instant Keno and specialties like Germinator and Four by Four. There are some virtual racing games in there, as well. Not bad, at all. As for live casino, Omnislots comes up short. Yes, it features such titles as Live Blackjack, Live Roulette, Live Baccarat, Immersive Roulette and Casino Hold’em Live, but we wouldn’t mind a couple of more options in this category. We know Evolution Gaming has more than just the basics to offer. As much as eighteen different payment methods are listed at Omnislots Casino banking page. Most of them are cost-efficient payment methods which are easy to use. The site accepts Euro (EUR), Norwegian krone, Swedish krona (SEK), Australian dollar (AUD), US dollar (USD) and Canadian dollar (CAD) when it comes to flat currencies, and Bitcoins. A portion of the list of banking methods looks as follows: Skrill, Neteller, PaysafeCard, iDeal, GiroPay, Neosurf, Przelwwy 24, Trust Pay, Boleto, EPS, Astro Pay, Safety Pay, SoFort. After the player’s withdrawal request has been approved it takes 1-3 working days for the money to arrive. Omnislots employs a Live Chat support team available from 06:00 until 03:00 CEST. Those who prefer to write emails can contact Omnislots representatives via email and wait for about 24h for the response. Customers can also keep in touch with the team via social outlets, Facebook, Twitter and YouTube. The site doesn’t point to any phone numbers, but there is a neat FAQ page.